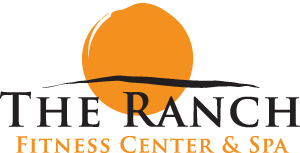 There are many benefits of becoming a fitness member at The Ranch Fitness Center & Spa. The Ranch is a state-of-the-art fitness center designed to meet your cardiovascular, strength and flexibility needs with fitness programming that is second to none. The Ranch stays on top of current trends in the areas of cardiovascular, strength, mind-body and aqua and brings the best to our members. Our facility is well appointed with treadmills, ellipticals and bikes as well as a full line of Nautilus strength equipment and free weights. The Ranch also features a spacious group exercise studio and indoor heated pool with a full schedule of classes which are included in the membership. Our bi-monthly enewsletter keeps members up to date on the latest happenings at The Ranch. In addition, our personal trainers are available to meet with new members for a complimentary equipment orientation and to assist in starting an exercise routine. Although we encourage an ongoing commitment to wellness, we understand the need for flexibility and offer month to month membership with no long term obligation. As an added bonus, fitness members also receive a 10% discount on all Spa/Salon services and retail products. *Initiation fee applies to all new memberships. Reduced membership rates and daily fees for residents of On Top of the World and Stone Creek. Corporate memberships available at The Ranch.Corporate memberships are qualified on an individual basis. Special programs are available with company participation. The employee must provide proof of employment, such as a pay stub or an employment ID card. New members may be added at any time during the year. Company presentations are available by appointment. Contact the Membership & Events Manager for details and additional informational. Special rates apply. View our brochure. Have a question about memberships? Contact Lori Guthrie, Membership Sales Coordinator. She’s here to help!